LinkThru TMU enables cost-effective real-time data capture, analysis, reporting, alarms, notifications and auditing as part of a Legionella control regime using Temperature Monitoring Units (TMUs) placed at sentinel points. 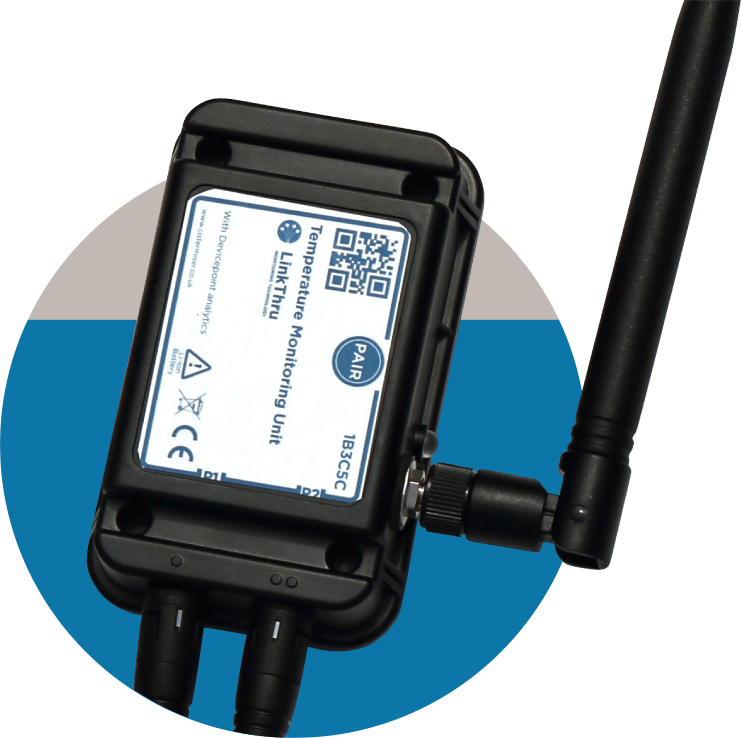 LinkThru TMUs are small black boxes that simply and easily affix to water pipes anywhere in the water system using small clamps, eliminating the need for a person to take temperature monitoring recordings themselves. TMU devices take precise temperature readings every 10 seconds, transmitting the data into a ‘cloud’ database that users can access at any time by logging on to a secure dashboard portal. 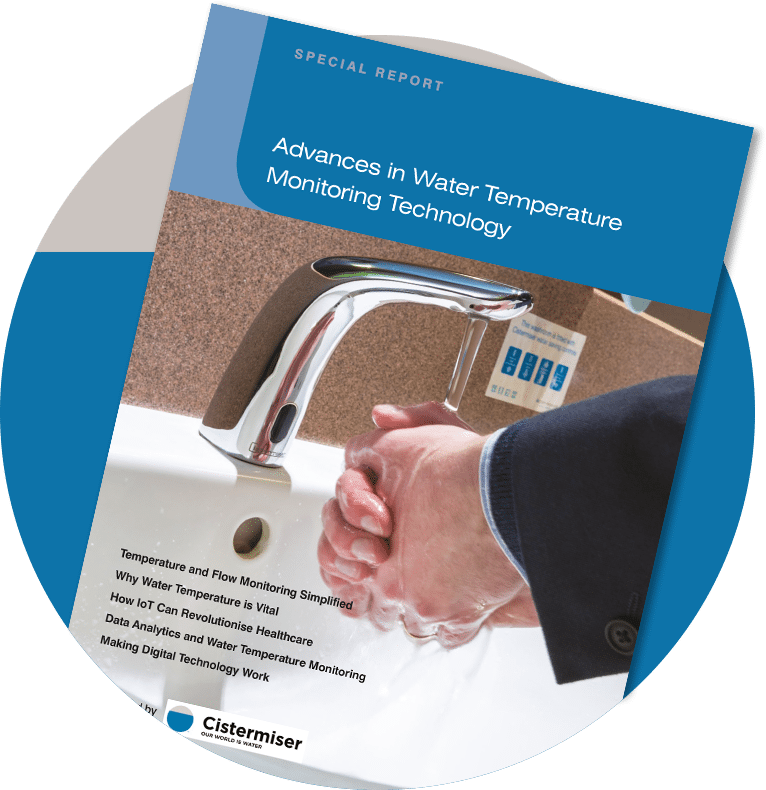 Users will only receive a notification from the system if it detects a discrepancy in water temperature or flow event which is beyond pre-defined limits. TMUs take temperature samples every 10 seconds (for hot, cold or blended supplies) and automatically begin recording additional data when outlet usage is detected. Each TMU accepts up to 4 temperature probes (configured as 2 pairs) which simply affix to pipe work surfaces using clips (15mm) or cable-ties (>15mm). TMU devices are battery-powered with a long life of between 3 and 8 years, depending on the data mode. This example dashboard screen shows monitoring of hot and cold temperatures over a two-day period. The LinkThru portal provides an overview of hot and cold water pipe temperature ranges and flow events over defined periods of time. Activation temperature timelines from sensor readings can be easily inspected, to analyse patterns of usage in precise detail.